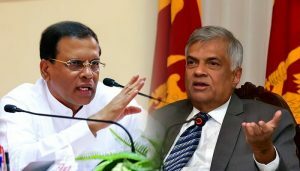 Top Stories: President Maithripala Sirisena has challenged Prime Minister Ranil Wickremesinghe whether he can come to Gaddafi if he can. After the Prime Minister's nomination, United National Party members have put it on the face. "You have done a lot of things, including the arrest and imprisonment of Central Bank fraud, military personnel and jail officials. I came to this conclusion that the country does not stand today. You said that the situation like Gaddafi is coming to me. If that happens, do it. " At that time, the UNP members were not shocked. The president's speech will be sent to media today.